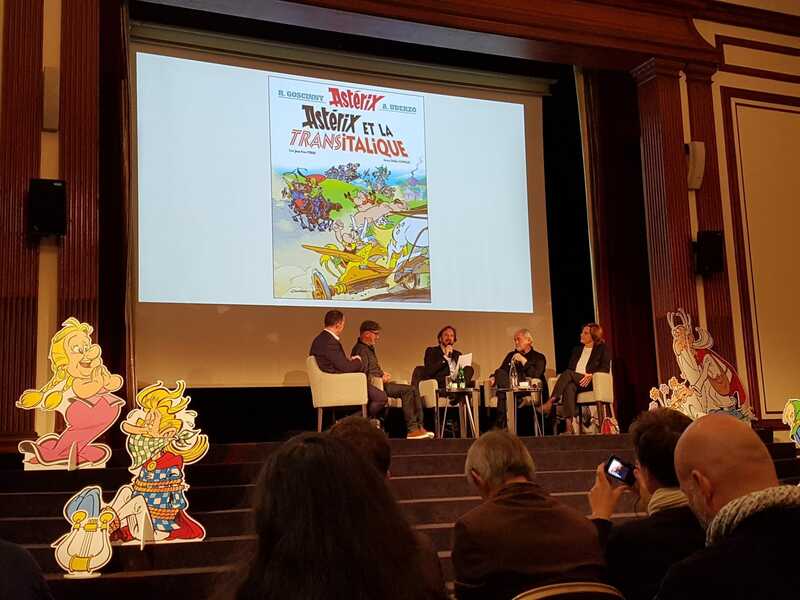 The title of the 37th album of Asterix has been revealed on Wednesday, April 5 at the 2017 Bologna Children’s Book Fair. 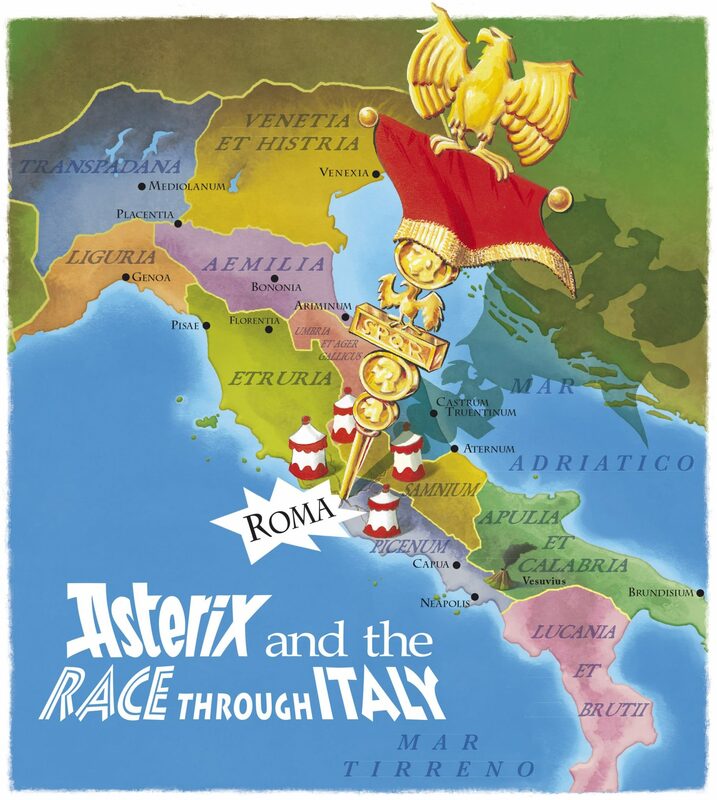 So Asterix and the Chariot Race has been released this Thursday, October 19, 2017. This is the third album by Jean-Yves Ferri (script) and Didier Conrad (illustration) after Asterix and the Picts (2013) and Asterix and the Missing Scroll (2015). In this new album, our two Gauls heroes will for the first time meet Ancient Italy and its inhabitants, the Italics, who are not all Romans. 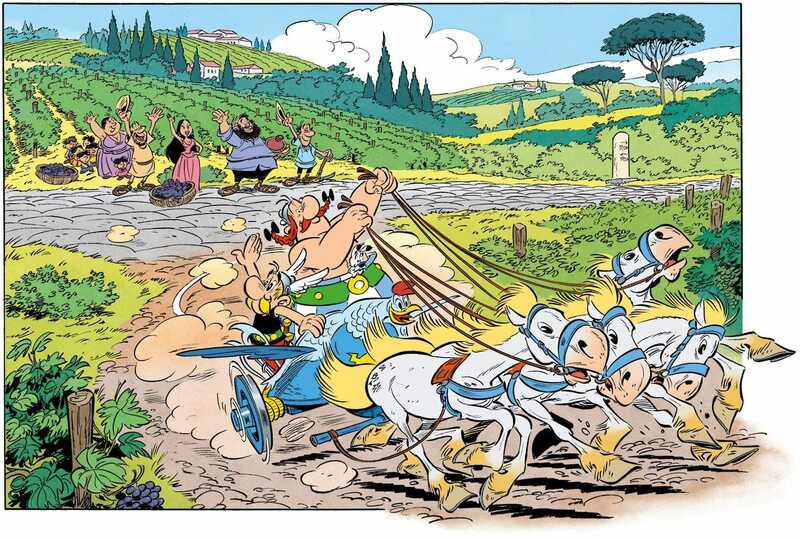 Note that if Rome has already been featured in the albums Asterix the Gaul (1964) and Asterix and the Laurel Wreath (1972), Italy itself has never been shown in the series. The excuse for going across Italy will be an international chariot race, organized with the agreement of Caesar, and which our two friends will obviously participate. 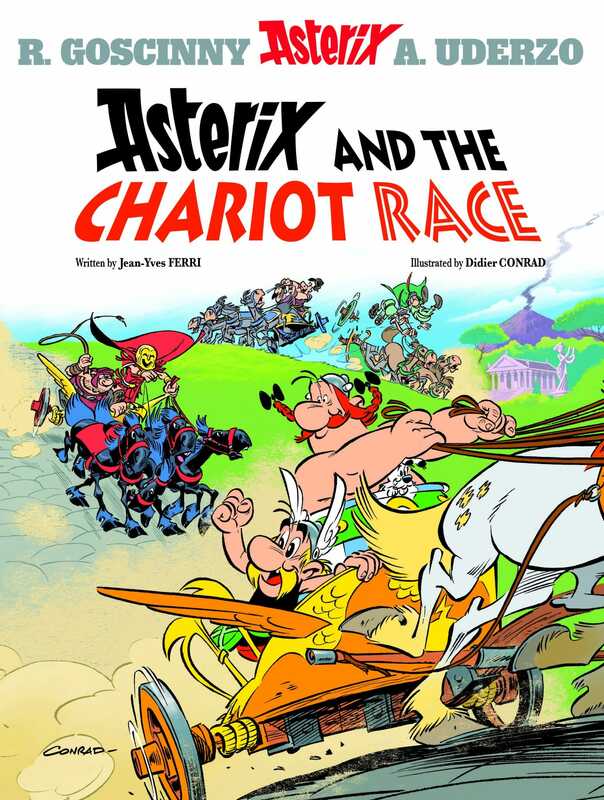 This story of Asterix and the Chariot Race has a particularity because for the first time, it is Obélix who directs and holds the reins of the chariot for the race but “contrary to what one could believe, Asterix doesn’t stay in the background, explained the screenwriter Jean-Yves Ferri, because a co-pilot is very important, he is the one who will take the reins in a certain way but with leaving his friend a little more space. 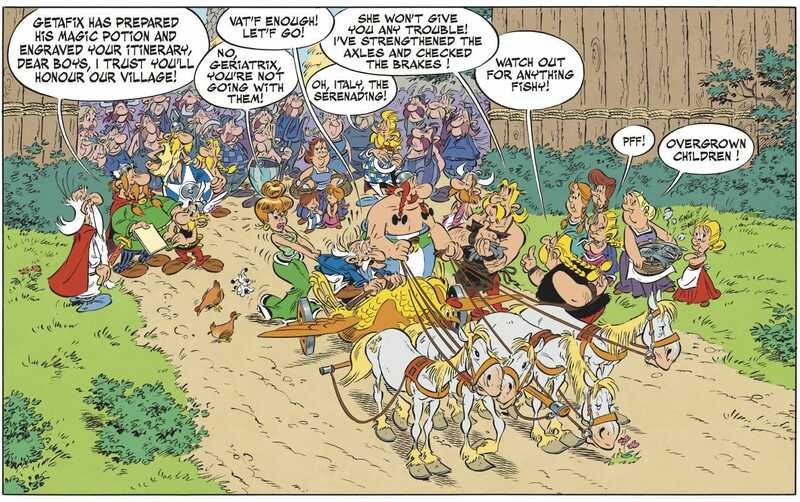 Obelix continues on its natural inclination which is to express himself a little more each time“. And as always, a villain makes his appearance in an album. 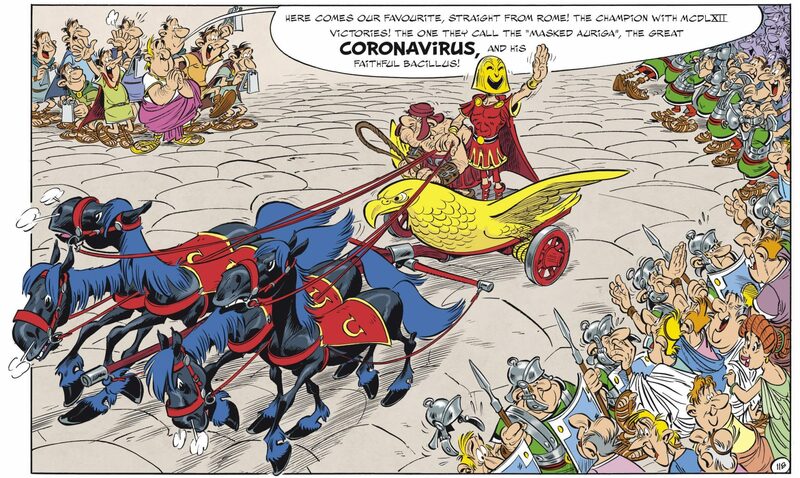 In the French comics Asterix and the Chariot Race, it will a Auriga (driver of chariot) named Coronavirus, a Roman champion with 1462 victories. 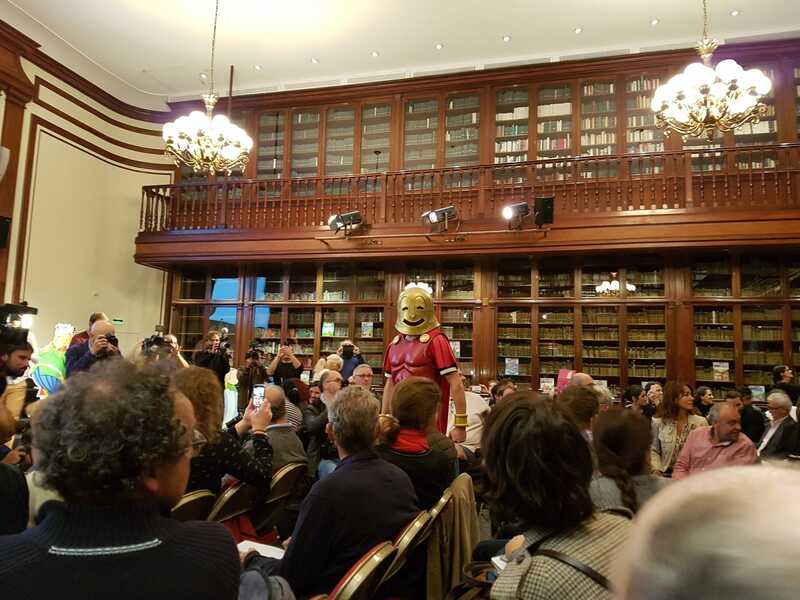 And like the comics and ancient theatre, he has a mask. 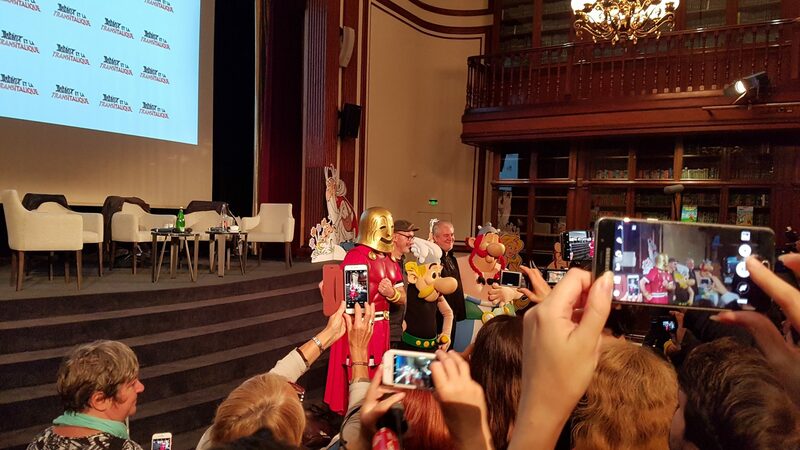 According to Jean-Yves Ferri, “there was at the time of Asterix a whole series of masks designs and that one, it is funny because it displays an irony, a superiority over the other candidates. But we are not so far from the historical reality”. We will have to read the 48 pages of this new album to discover who is behind this masked Auriga who fits in “the tradition of the masked villain throughout the comics, including in the racing cars comics of the 60’s like Michel Vaillant“, says Jean-Yves Ferri. 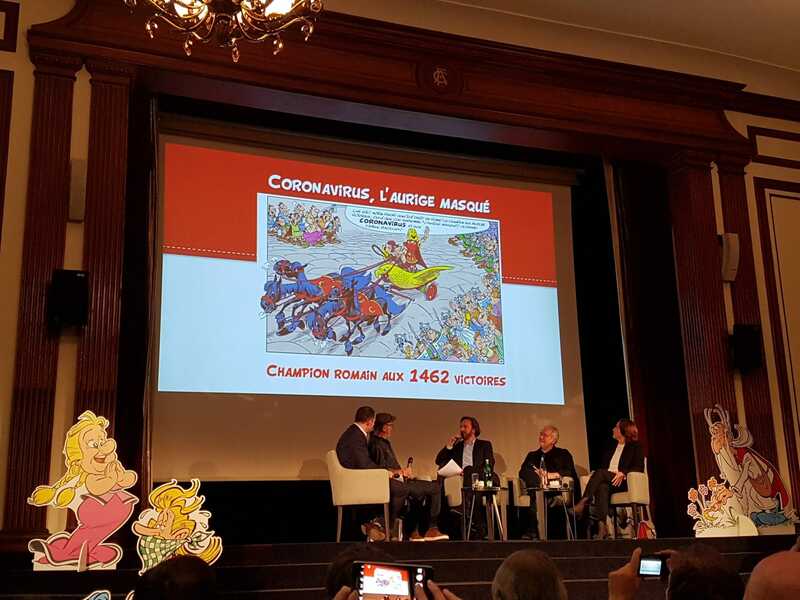 The comics Asterix and the Chariot Race will be published in five million copies in twenty-five countries including two million copies in France. Moreover, in France, it will be offered in four formats: a 48-page conventional format, a 128-page luxury format, a 112-page Art Book format and a 48-page digital format. 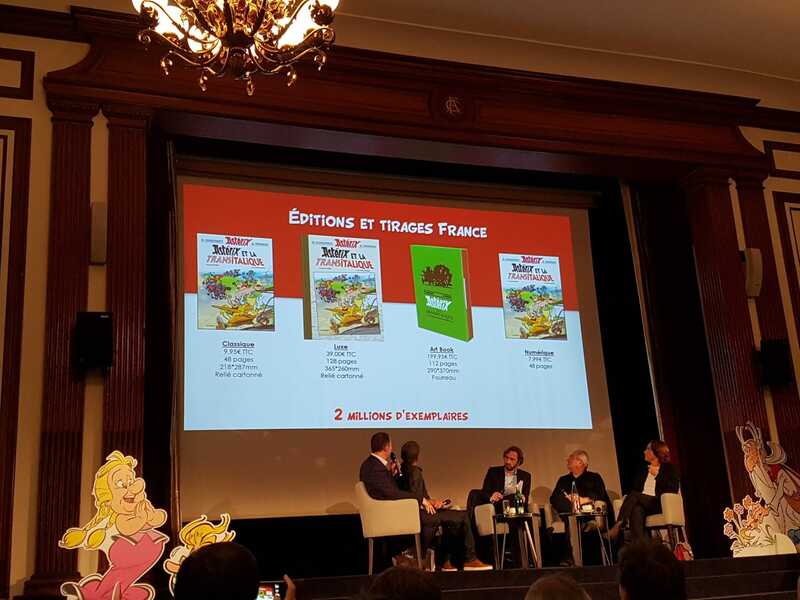 And as a reminder, the adventures of Asterix, it is more than 370 million albums sold worldwide and translated into 111 languages ​​and dialects. – release in France of a 3D animated film Asterix – The Secret of the Magic Potion by Alexandre Astier and Louis Clichy on December 5, 2018. 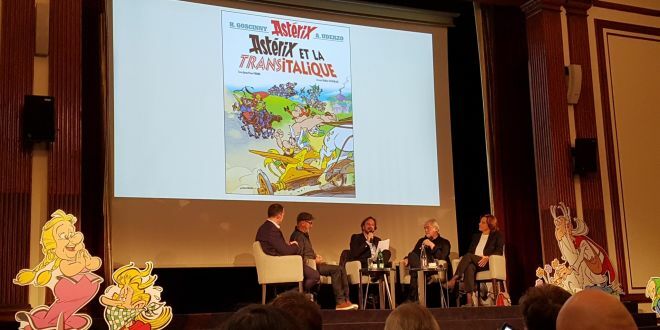 Interviewed at Asterix and the Chariot Race press conference at the Automobile Club de France in Paris on October 9, 2017.